How to Use a Centuries-Old Strategy … Updated for Today’s Market … to Turn Every $10K You Invest into $44,508! 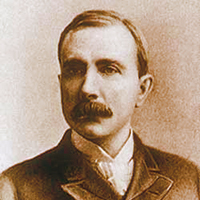 John Davidson Rockefeller Sr. is widely considered to be the wealthiest American that ever lived. Over his investing and professional career, he amassed a portfolio worth an estimated $392 billion in today’s money. Now, by updating his “Rockefeller Recipe” investing strategy for today’s market, my goal is to help you turn every $10K you invest into $44,508! And it’s all available to you in my High Yield Investing newsletter. My “Bedrock Income Portfolio” – “Best of the Best” Investments that pass a rigorous, five-step culling process. Not only do they offer some of the best yields available, but they also sport the strongest fundamentals among the more than 13,400 stocks Weiss Ratings tracks! My “Dynamic Income Portfolio” – Stocks and other investments that yield 4X or more than the S&P 500. These investments can turbocharge the income your portfolio spins off, without adding wildly excessive risk! So don’t wait – Enroll now!